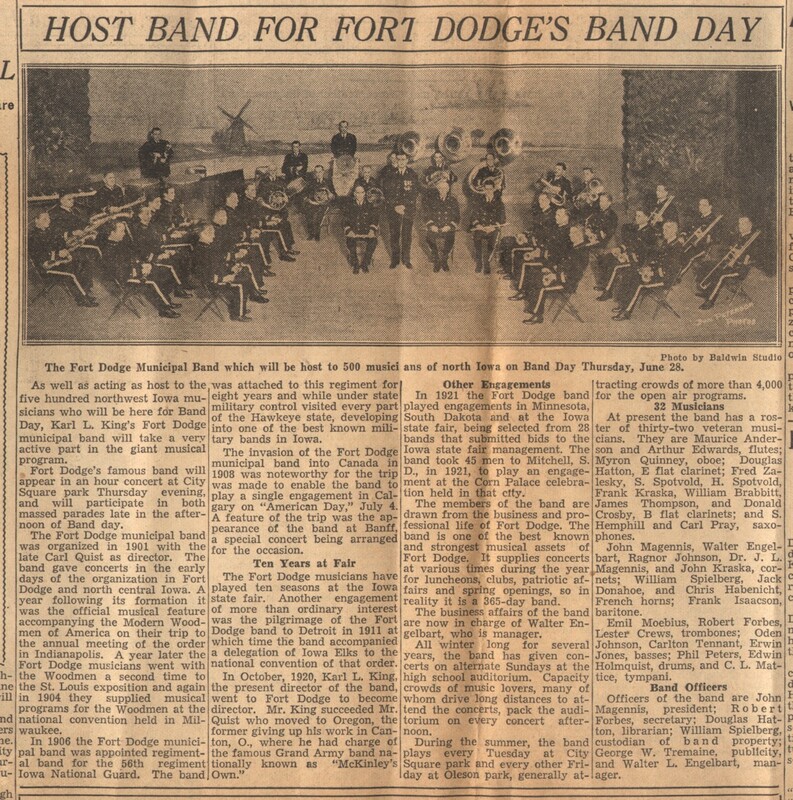 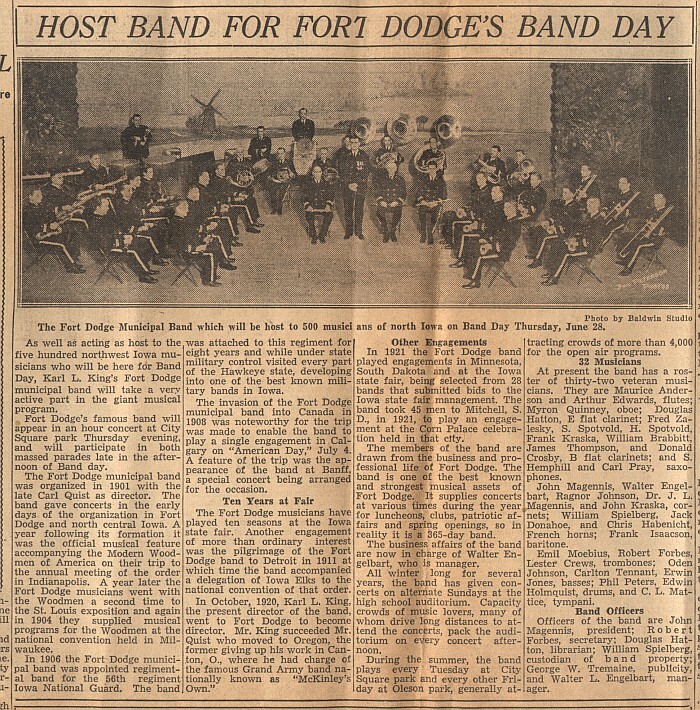 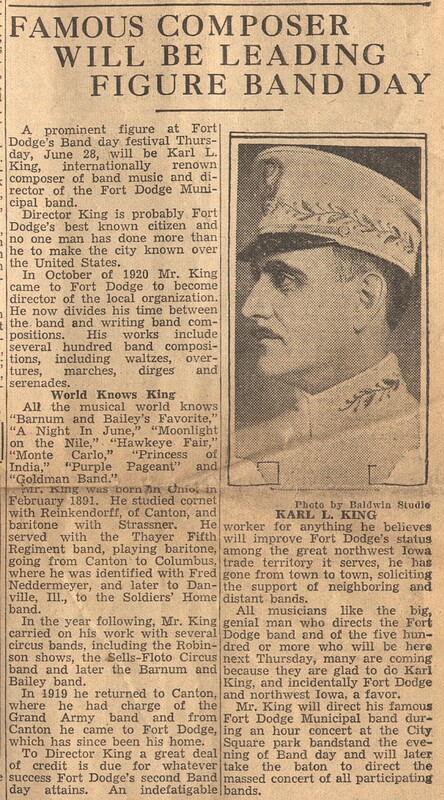 the Band Day celebration with a special section containing many articles about the coming festival. Karl King is at the left end of the row of directors. Walt Engelbart, the event organizer, is carrying his cornet at the right end of the same row. 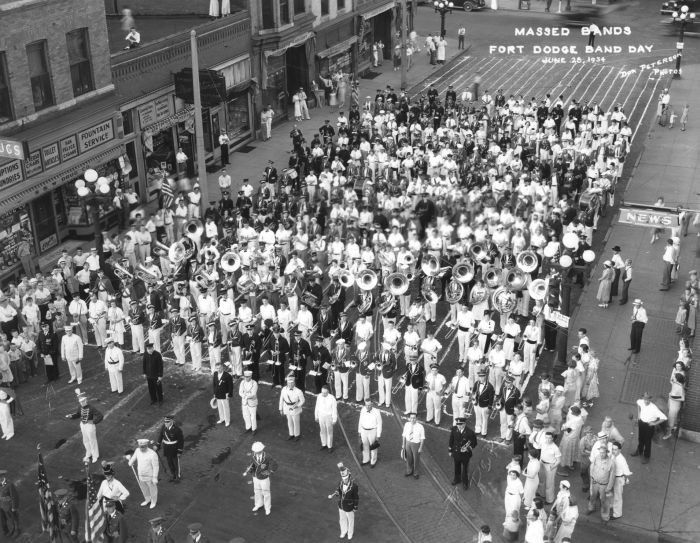 Lou Pray is pictured in his white drum major uniform in front of the row of student drum majors. 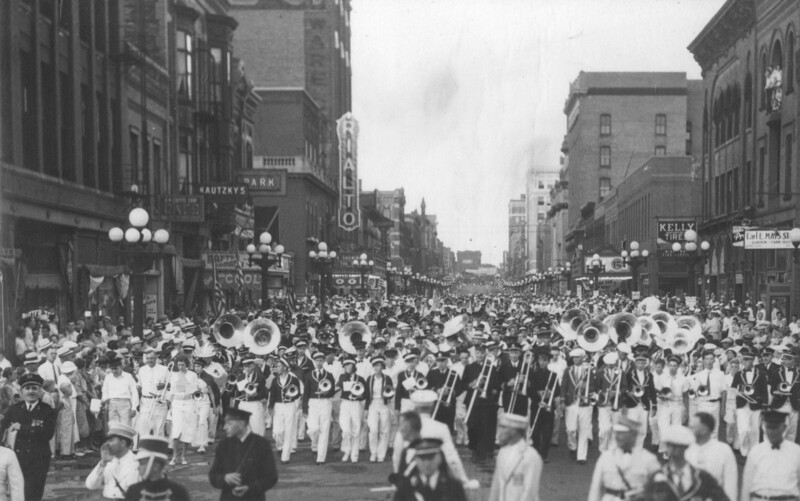 In this photo of the same band, Karl can be seen facing the camera at the very left.